Please make sure you have signed up for Remind here in case we make last minute schedule changes. The Google calendar is updated when there are changes so please check the schedule there as well. We strongly encourage all athletes to attend practice at El Camino on the days assigned for their discipline / event; however, we understand that transportation may be an issue for some. We will have at least one coach remain at Rio for any athletes that can’t make it to El Camino due to transportation issues. Coaches will continue to communicate practice times and changes to the athletes however, you can check riotrackxc.com for the current Track & Field calendar as well as any news updates. Additionally, if you use Google Calendars, you can add the Rio Track & Field calendar. Sprint & Field Events Group Rio Americano H.S. 2:00-3:30 P.M.
Tuesday, April 9th – we will have our first Capital Athletic League Meet at Capitol Christian High School (9470 Micron Ave., Sacramento, CA). This is a FULL TEAM meet which all athletes will be entered into at least one event. This will be an Early Dismissal Day for athletes as the meet starts at 3:30 p.m. There is no school provided transportation for this meet, please coordinate transportation for your athlete. It is important athletes who cannot attend let their coaches know immediately. This is a new league alignment with 7 schools and we are unsure of how late this meet will go. We will communicate the meet details on Monday, April 8th with Early dismissal, Team Roster, and order of events information. Saturday, April 13th – we will be participating in the Halden Invitational at Davis High School (315 West 14th Street, Davis, CA). This is an exciting and unique meet format. The meet will begin at 10 am with Sprint and Field Events and will conclude with a Distance Carnival which begins at approximately 4:30 pm. This meet will have 4 divisions (FSG/FSB & VG/VB) for Sprints, Hurdles, and Field Events. There will be 2 Divisions (VG/VB) for the Distance Carnival Events. It is possible that due to some limited entry space we will not be able to enter all athletes. If your athlete can not attend they must let their coaches know by April 8th. If you missed it on the front page of the Sacramento Bee, a family of Killdeer have taken residence on our completed field to hatch their eggs. While the Field is ready for athletic use, the district has made the decision to let the eggs hatch before we are allowed to open the new athletic field. Given the timeline of when the eggs were found and the incubation period of a Killdeer we are playing wait and see, but are hopeful we are talking days and not weeks. 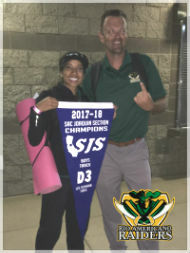 Site administrator for riotrackxc.com supporting the Rio Track & Field and Cross Country programs at Rio Americano High School in Sacramento, CA. This entry was posted in Communications, News, Rio Athletics, Track & Field. Bookmark the permalink.